BEAMS Couture has prepared a surprise collaboration with Ziploc, of all parties, for a selection of repurposed bags. The upcycling sublabel of BEAMS’s Ray womenswear brand, Couture has reworked a variety of Ziploc baggies into creative transparent accessories. 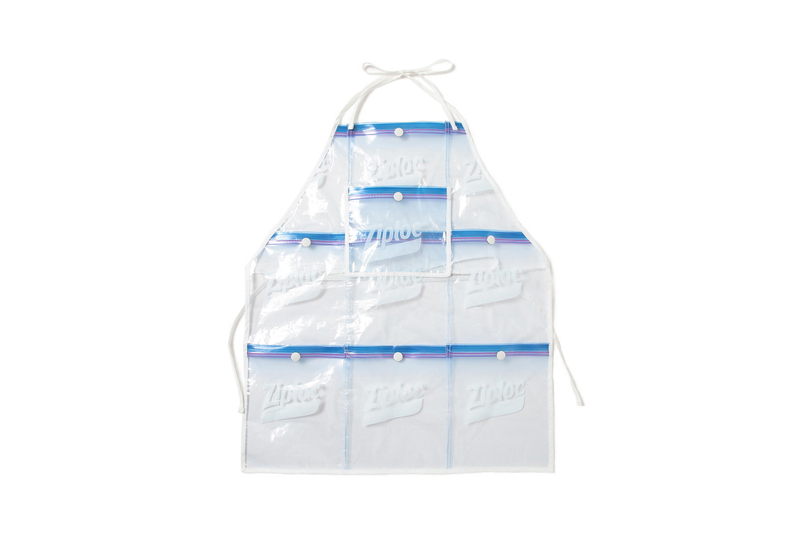 Encompassing nine distinct goods, the collaboration revises Ziploc baggies into a variety of different items. A shoulder bag, backpack, tote, waist bag and pouch make up the majority of the collection, offering see-through bags with plenty of Ziploc branding and exposed seams due to the patchwork construction. As for wearables, the release offers a visor, cap and apron, the latter of which boasts over a half-dozen different pouches. Finally, a Ziploc umbrella completes the selection, repurposing the resealable strap into a tie for keeping the umbrella shut. The collaboration launches via a pop-up shop at BEAMS’s Shinjuku outpost from August 15 to September 11, arriving online on August 20. Head to BEAMS’s website for more info and check out the home shopping-inspired promo video on BEAMS’s Youtube channel below. Most recently, the Japanese retailer debuted a comparatively conservative autumn collaboration with Champion. 5 brands that could fill the mantle. Scenic portrayals of the artist’s childhood memories.